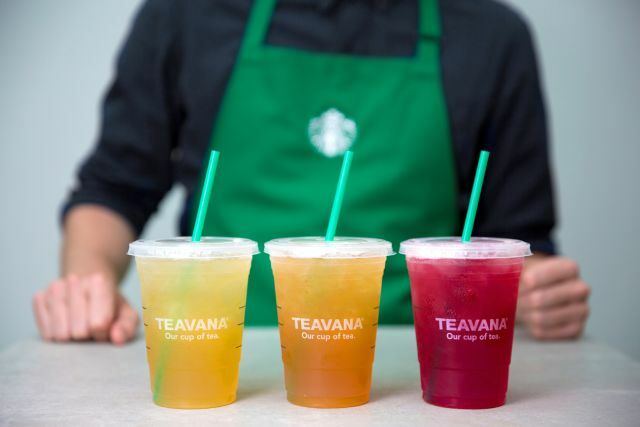 Starbucks will be celebrating National Iced Tea Day on Friday, June 10, 2016 by offering a buy one, get one free deal on Teavana Shaken Iced Teas at participating US stores. Shaken Iced Tea flavors include Black Tea, Black Tea Lemonade, Mango Black Tea Lemonade, Peach Green Tea, Green Tea, Green Tea Lemonade, Passion Tango Tea, and Passion Tango Tea Lemonade. Basically you can choose from various teas and then choose whether you'd like a splash of lemonade thrown into the mix.